“Amanda joined her family’s multi-generational Shaklee business in 2006 after years of working with children in her city’s Parks and Recreation Department. 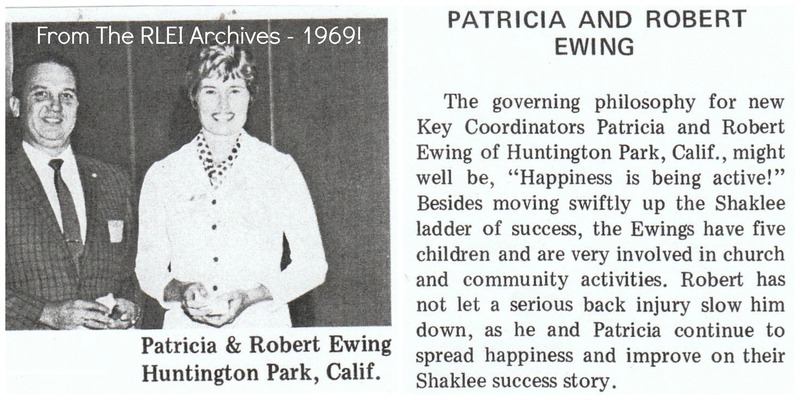 Being able to work intimately with her grandparents (Bob and Pat Ewing), mother Gayle, and sister Summer in the same environment she grew-up in was a major draw for her (not to mention the other perks like using the family Shaklee Bonus Car), and was exactly what she needed to pull herself out of grief after her father’s death. During that emotional time, she had also gained weight. Using the Shaklee 180 program, she lost 65 lbs. in 2008 and regained her energy, inspiring others on their own Before and After weight loss journeys, even helping them find their Happily ever After-After by example. Since recommitting to the program in 2013, she has gone from a size 6 to a size 4 dress size which she has maintained ever since. In 2014 she married Drew, an electrical contractor project manager. Together they decided to begin their own Shaklee distributorship and build their own legacy to pass onto their future generations, quickly becoming Directors. That same year Amanda received her certificate from Penn Foster in Fitness and Nutrition and is a natural living, environmental, and animal welfare advocate with her sister, as they also work their Shaklee businesses in tandem. Amanda is a 3rd generation, original “Shaklee grandbaby” now raising her own 4th generation “Shaklee baby”. She is our own shining example of how the Shaklee love of helping others carries on down the family line and we are so proud of her as a daughter, sister, mother, and leader. We have all moved to Washington state because we are all about living and working closely together as a family forever. Next Next post: RLEI December 2017 ROLL CALL!